Eric is an American IFMGA guide who lives in Telluride, CO. He has lead successful expeditions around world. He has over 50 expeditions to the Alaska Range, including over 20 summits of Denali. For the past five years, Eric has been guiding in the Alps, leading trips on Mont Blanc, the Matterhorn, and the Eiger. Eric is also an instructor for the American Mountain Guide Association. 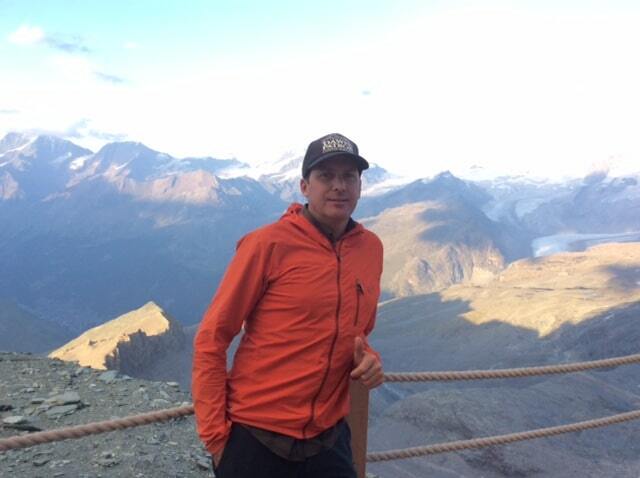 This is a note to let you know what my experience was in Zermatt and with Johnathon and Hans. I would like to say that I have done climbing numerous peaks over the last 25 years. I have used guides a number of times and have never experienced the quality of the guides Johnathon, Hans, and Cece.